In this age of “Everything is a Hoax,” internet trolls are generally expected to be pathetic grown men with nothing better to do and/or something to sell. 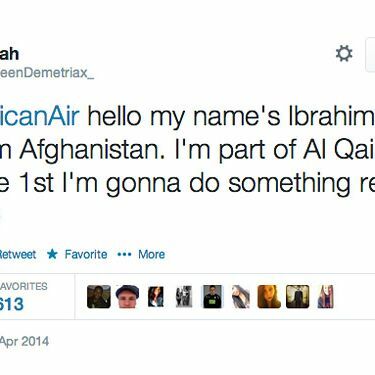 So when an alleged 14-year-old Dutch girl named Sarah got the attention of the world on Sunday by hinting at a terrorist attack in a tweet to American Airlines, the safe money was on a stunt, or at least a creepy impostor. Nope: Dutch police arrested a teenage girl in Rotterdam this morning. The entire saga is Storify-ed here. “We’re not in a state that we can communicate any state of charges at this point,” police in the Netherlands told Business Insider in a statement. 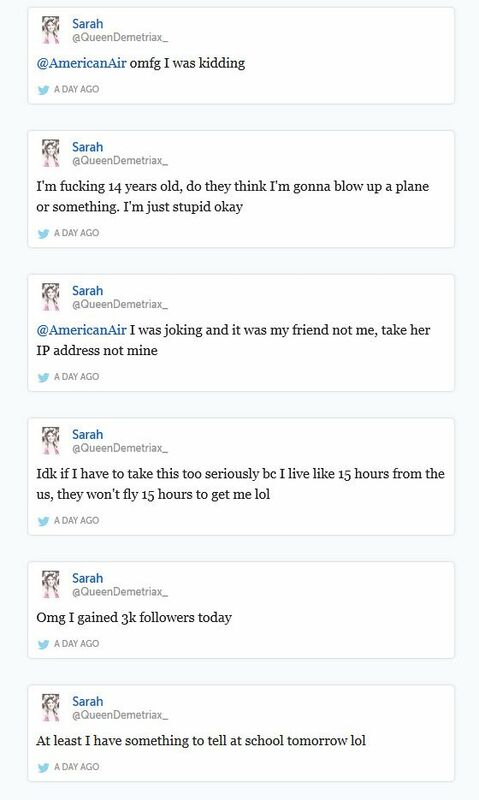 “We just thought it was necessary to bring this out mostly because of the fact that it caused a great deal of interest on the internet.” Sarah’s account has since been suspended, so she doesn’t even get to keep the followers.